Detectives probing the Grenfell Tower inferno have interviewed three people under caution. Police are investigating possible breaches of Health and Safety law after 72 people died in the blaze in June last year. Scotland Yard said more people are likely to be interviewed in the coming weeks as part of the probe which has only seen arrests for alleged fraud offences. A Met Police spokesman said: “The police investigation into the Grenfell Tower fire has moved to a new phase with a planned programme of interviews under caution. “So far, three interviews under caution have been carried out in relation to the tragic events and it is likely that further interviews will take place in the coming weeks and months. “The Metropolitan Police Service is considering offences including gross negligence manslaughter, corporate manslaughter and breaches of the Health and Safety Act. Victims’ families and survivors have been informed as Scotland Yard expects to finish its inquiries at the Tower and hand it over to another public body early next month. 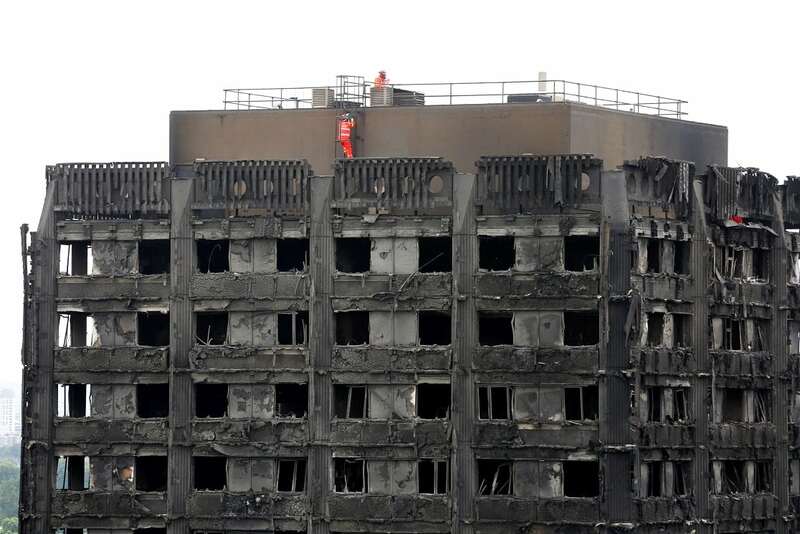 A spokesman said: “The families and survivors have also been informed that the Met Police Service remains on schedule to hand over responsibility for Grenfell Tower as the police work at the tower is nearing completion. Scotland Yard added: “Police and experts have worked tirelessly to ensure that every aspect of the physical examination of Grenfell Tower have been completed to the highest possible standards, including searches, forensic examinations, digital scanning, photography and videography, as well as the examination by many independent experts of specific aspects of the building construction and maintenance systems, on behalf of both the Met and the Grenfell Tower Inquiry. “This considerable work has been supported by a series of off-site tests and reconstructions. “Once the Met is entirely satisfied nothing further is required from the tower, responsibility for it will be handed over to the responsible body.